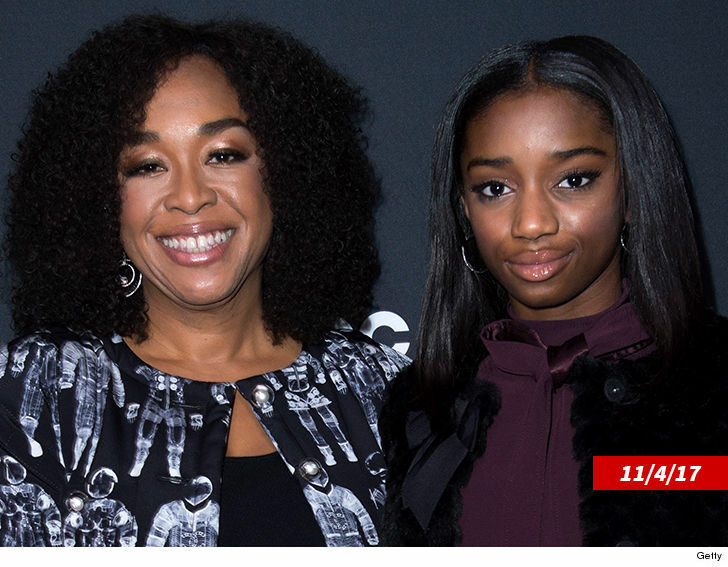 Shonda Rhimes' daughter knows the value of a dollar -- 'cause she earned every penny during a single appearance on mom's hit show, "Scandal," this year. TMZ has obtained 16-year-old Harper Rhimes' contract for her cameo role in the series finale back in Spring, and she raked in $1,089 for the one day of work. By the way, she had about 30 seconds of screen time in the episode ... that's a pretty sweet rate. By the way, Harper's contract has to be filed in court because she's under 18. Harper's role as Girl #1 came in the closing moments of the big finale. She's one of the kids walking through a museum, and looking at an oil painting of Olivia Pope. This scene -- which, according to the contract, was shot on March 16 -- appears to be an homage to the viral photo from 2 weeks earlier of a young girl looking at Michelle Obama's portrait in the National Portrait gallery. Considering it was a non-speaking role ... Harper's cool grand is a pretty sweet allowance. Or as Olivia would put it, "It's handled."